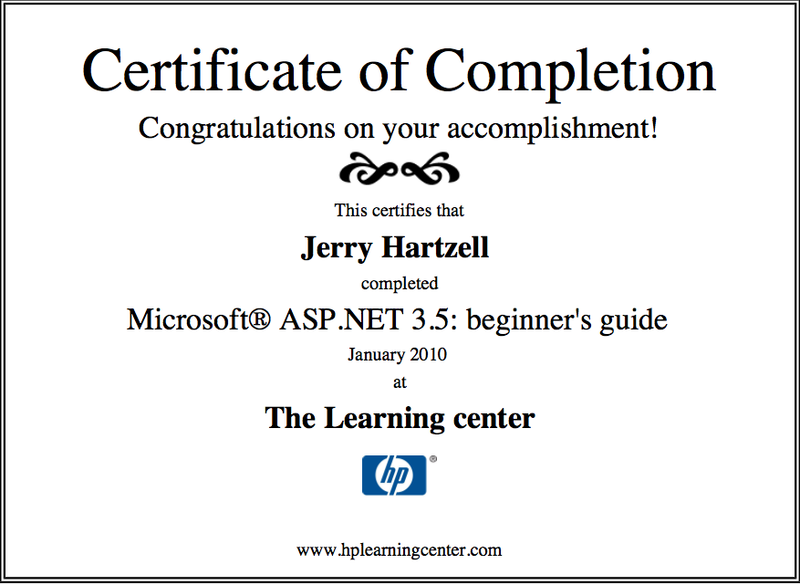 Once again the experience of taking a class from the HP Learning Center was positive and provided useful information about the topic. 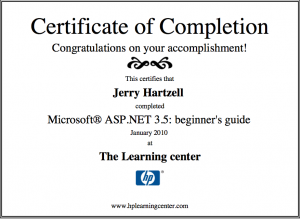 As more classes become available about on ASP.net development I will be enrolling. The information was presented in an easy to follow format and with each chapter building upon the preceding. All content was valid for developing ASP.net website applications. This class was divided into four main sections. Copyright © 2010 Sites by Jerry. Powered by WordPress and A Dream to Host theme by Art of Blog.